The countdown to the premier celebration of Australia’s vibrant live performance industry is on following tonight’s announcement of the 2015 Helpmann Awards nominees. The nominees were announced at simultaneous events in Sydney, Melbourne, Adelaide, Brisbane, Perth, and Hobart by some of Australia’s biggest names of the performing arts sector, including Caroline O’Connor, Simon Gleeson, Wesley Enoch, Annette Downs, Michael Griffiths, and Suzie Mather. Live Performance Australia (LPA) Chief Executive, Evelyn Richardson said this year has been a remarkable year for live performances in Australia and is reflected in the vibrancy and calibre of the 2015 Helpmann Awards nominees. “This year’s nominees across the 42 categories come from a range of disciplines and should all be congratulated for their immense display of talent and commitment to the live performance industry,” said Ms Richardson. Also announced on the night was the Best Special Event Award, presented to Perth International Arts Festival, in association with Royal De Luxe for The Incredible and Phenomenal Journey of the Giants to the Streets of Perth. The Incredible and Phenomenal Journey of the Giants to the Streets of Perth, which involved two giant marionettes searching for each other across three-days in Perth’s CBD, captivated the city of Perth where over 1 million people viewed the spectacle as part of the Perth International Arts Festival. The Helpmann Awards also incorporates the Brian Stacey Award for Emerging Australian Conductors which has this year been awarded to Jessica Gethin. She will receive a $10,000 prize as winner of the award. Since she first took the podium as the Western Australia Youth Orchestra Conducting Intern, Jessica has won praise from audiences and critics alike for her dynamic energy, outstanding musicianship and abounding presence on the podium. NSW Minister for Trade, Tourism and Major Events, Stuart Ayres congratulated the nominees on their achievement. “Being nominated for a Helpmann Award is a fantastic achievement, and is one of the live performance industry’s highest accolades. The Awards promise to be a great night, celebrating the very best of the performing arts, and the NSW Government is proud to have secured them for Sydney through Destination NSW,” he said. 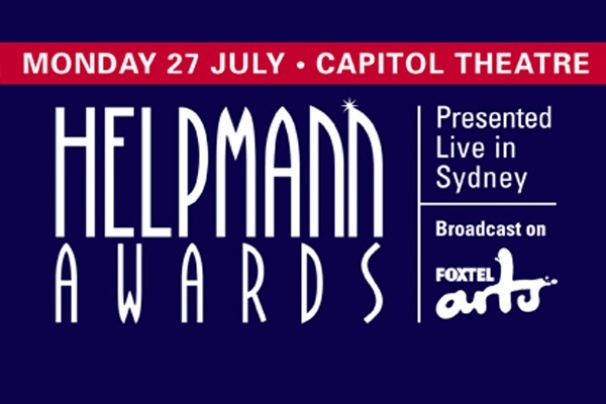 The 2015 Helpmann Awards will be hosted by previous Helpmann Awards winner, Todd McKenney and feature performances by Les Misérables, Once, Australia Piano Quartet, and Cosentino – The Grand Illusionist. The full program for the 2015 Helpmann Awards will be announced closer to the ceremony date.